Zealandia is large and separate enough to be considered an actual continent. — Illustration: Geological Society of America. IT turns out New Zealand isn't a couple of small islands at the bottom of the world. It's actually a continent — most of which just happens to be under the sea. 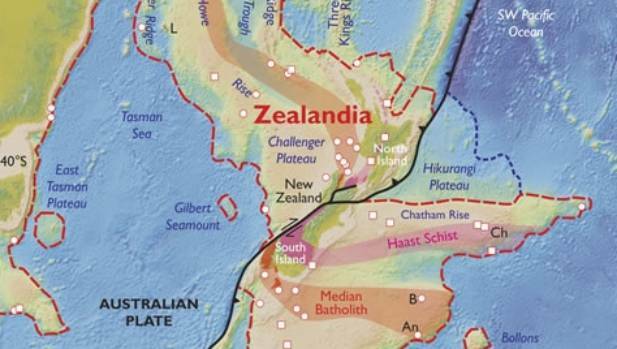 The case for Zealandia is made in a paper with considerable input from GNS Science, published in GSA Today, the journal of The Geological Society Of America. According to the authors, Zealandia and Australia come remarkably close to each other across the Cato Trough, off the coast of Queensland. Ninety-four percent of Zealandia is under the sea. At that point the continental crusts of the two continents are just 25km apart. Altogether Zealandia covers about 4.9 million km, of which 94 percent is underwater. The authors contend the data shows a substantial part of the southwest Pacific consists of a continuous expanse of continental crust. It is large and separate enough to be considered an actual continent. “This is not a sudden discovery but a gradual realisation; as recently as 10 years ago we would not have had the accumulated data or confidence in interpretation to write this paper,” the authors say. Zealandia has a continental crust thickness ranging from 10-30km, getting up to more than 40km under parts of the South Island. While most of it is thinner than the 30-46km typical of most continents, it is everywhere thicker than the crust of the ocean basins, which is around 7km. “Being more than 1 million sq km in area, and bounded by well-defined geologic and geographic limits, Zealandia is, by our definition, large enough to be termed a continent,” the paper says. Zealandia once made up about 5 percent of the area of Gondwana, from which it started to separate as a ribbon continent about 4,000km long, the paper says. It has since gone through substantial deformation to end up in its present shape and position. 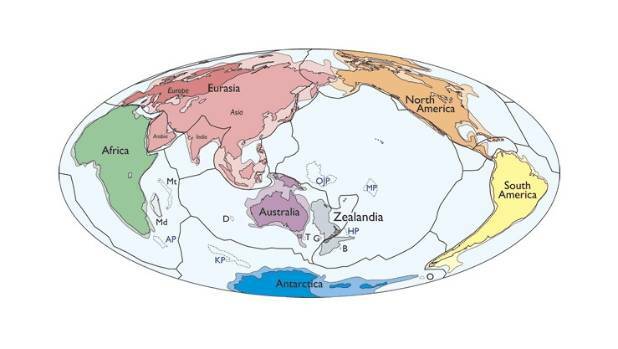 “Based on various lines of geological and geophysical evidence, particularly those accumulated in the last two decades, we argue that Zealandia is not a collection of partly submerged continental fragments but is a coherent 4.9 Mkm2 continent,” the authors say. The name Zealandia was first proposed by geophysicist Bruce Luyendyk in 1995 as a collective name for New Zealand, the Chatham Rise, Campbell Plateau, and Lord Howe Rise. As well as GNS staff who contributed to the paper, other authors come from Victoria University, the University of Sydney and the Service Geologique de Nouvelle Caledonie.